Brandon and AccromA for an innovative musical experience. Call +94 71 278 0775 now for your Engagement / Wedding / Home Coming / Birthday Party / Dinner Dance / Event / Function that Require Live International and Sri Lankan Music ranging from the 50s to-date. 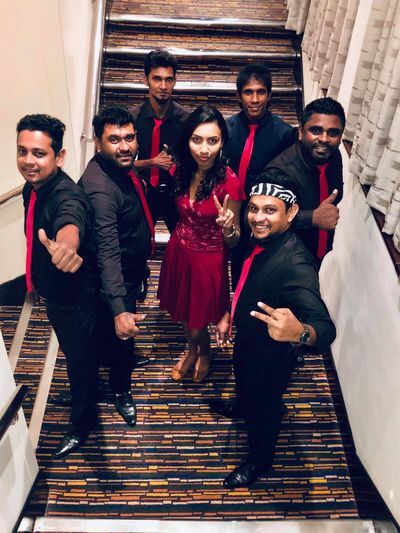 Click on YouTube & Facebook links below for videos of live performance by "Brandon and AccromA"
Known for Commercial Music Performed Live in Languages of English or Sinhala, is a band of musicians playing Acoustic Drums, keyboards, Bass Guitar & Guitar.
" Brandon and AccromA" since 2003, is a cover band playing famous songs from the 50s to date with talented and experienced musicians as members, now also focusing on current chart toppers & dance medleys arranged using the top hits of the past.